On My Sewn In Hair Extensions? "How should I oils on my sewn in hair extensions (not glue in extensions)?" Applying oils to sewn in hair extensions is significantly easier than using hair oils on glue in hair extensions as they can be applied to your growth hair as well as the whole length of the sewn in hair weave if necessary. Sew in hair weave maintenance can be divided into three areas; daily styling (which includes combing and moisturising), washing and lastly nourishing (which includes conditioning). 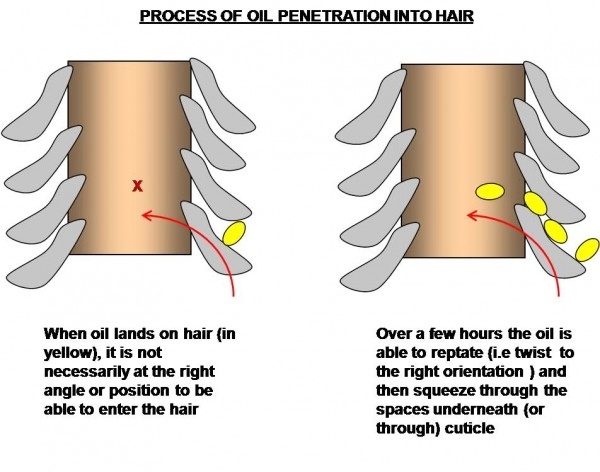 Why is oil penetration important for human hair extensions? Which Hair Oils Should You Choose? The better options are plant-derived and include almond (sweet almond oil is high in vitamin E), argan, avocado, castor, cocoa, coconut, jojoba (which acts like natural oil (sebum) found on the scalp), olive, rosehip and shea and cold pressed versions contain the highest levels of nutrients for hair. There are several ways to use oils on your sew in hair extensions. Smooth dry ends or frizz: Add a few drops to your finger tips and smooth. DIY home made moisturizers: (90ml water, 10ml glycerine, 10ml (chosen) oil - mixed in a pump spray bottle) and lightly mist your sewn in hair extensions as required (and your growth hair if necessary) before styling; this works really well for all hair weave textures. Before washing to detangle: Misting the hair with oil before washing will help with detangling (as the hair will be slippery). Before washing to prevent dehydration: Hair can actually lose moisture when it's washed, so applying oil to the hair (2-12 hours before washing) will help prevent the hair from losing moisture. Before washing to shield against harsh chemicals: Applying a small amount of oil will create a shield against any harsh ingredients found in the shampoos such as sodium lauryl sulphate and sodium laureth sulphate. After washing (or conditioning) to seal in moisture: After washing your sew in hair extensions, apply a small amount of oil to damp hair. Use your fingers or a wide tooth comb to distribute - no massaging as this can cause the hair weave to fray and look frizzy when dry. Hair oils for sewn in hair extensions finito! For more information about hair weaves and hair extensions, check the Hair Extensions Q&A section or the navigation menu or if you simply want to know when there are new articles and guides about hair extensions, wigs and hair pieces then join our blog.